Provides the recreational diver, who does not desire further diver training, with an opportunity to advance his/her basic diving skills, thereby developing more comfort, confidence, and competence in the water. Provides the diver with aspirations of more advanced diver training with the tools that will contribute to a greater likelihood of success. 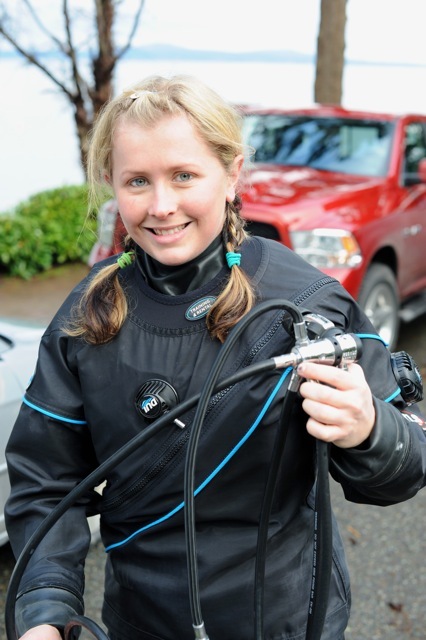 Provides non-GUE trained divers with a gateway to GUE training. Covering advanced buoyancy and trim, kicks, problem resolution, basic self resue and team resuce techniques, basic decompression management, gas planning and nitrox, GUE Fundamentals acts as a stand alone tune up for the experienced technical diver or an introduction to technical diing for someone wishing to move to the deeper or overhead realm. Combining lecture and in-water sessions, this course focuses on cultivating the basic skills required for all sound diving practice. It is focused on increasing diving fun by reducing stress and increasing diver proficiency through proper control of buoyancy, trim, propulsion, teamwork, and other GUE principles. Course requirements include a minimum of ten hours of academics and five in-water sessions; at least two of these dives must include a depth of at least 25 feet. Demonstrate awareness of team-member locationa dna a concern for safety, responding quickly to visual cues and dive-partner needs. 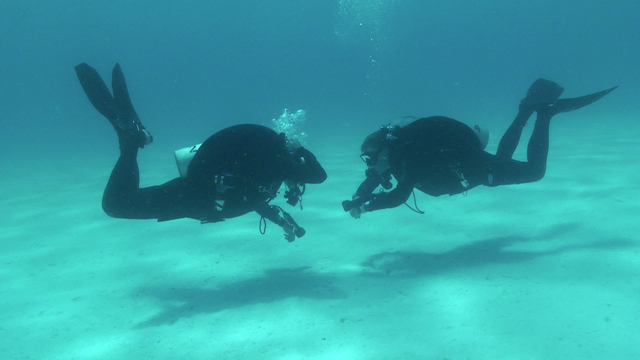 Efficiently and comfortably demonstrate how to donate gas to an out-of-gas diver, followed by an ascent to the surface, utilizing minimum decompression. Comfortable demonstrate at least three propulsion techniques that would be appropriate in delicate and/or silty environments; students should demonstrate comprehensions of the components necessary for a successful backward kick. Demonstrate dive-rescue techniques, including effective managment of an unconscious diver. Differencs between the management of an unconscious diver and a convulsing diver should be noted. Demonstrate aptitute in the following open-water skills: mask clearing, mask removal and replacement, regulator removal and exchange, long-hose deployment. Demonstrate proficiency in excuting a valve drill. * Skills 19-23 apply only to students seeking admittance into Tech of Cave training. These students must perform all skills, including 19-23, at a grade 4 or higher to qualify for registration to the Cave or Tech curriculum.